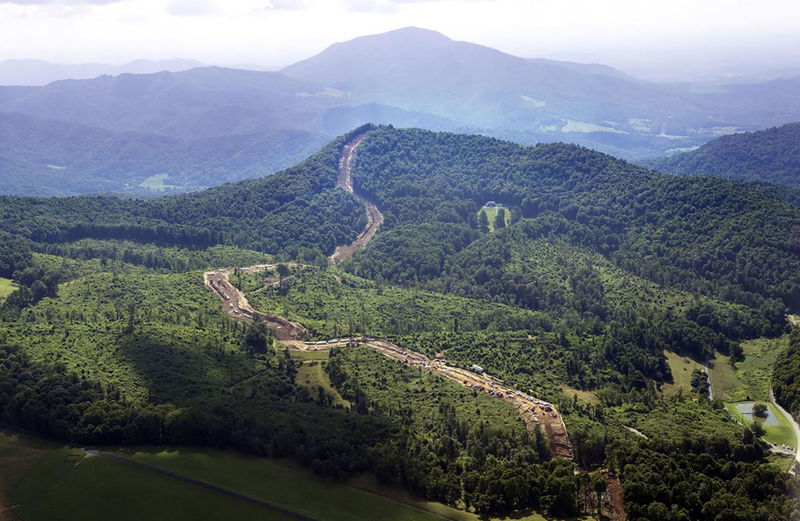 Cahas Mountain looms over the path of the Mountain Valley Pipeline as it crosses the Blue Ridge Parkway at Adney Gap, Virginia, on July 18. CHARLESTON, W.Va. — A federal appeals court on Tuesday vacated a key Clean Water Act permit for the Mountain Valley Pipeline, saying regulators lacked legal authority to “substitute” one kind of construction standard for another that was more friendly to the natural gas pipeline project. The 4th U.S. Circuit Court of Appeals issued a three-page, unanimous and unsigned order four days after hearing oral arguments in a case brought by the Sierra Club, the West Virginia Rivers Coalition and other citizen organizations over federal approval of the 300-mile-long pipeline from Wetzel County, West Virginia, into Pittsylvania County, Virginia.